The Russian Supreme Court has declared as terrorist the Japanese doomsday cult Aum Shinrikyo. The authorities have moved to outlaw the group, best known for the deadly chemical attacks in the Tokyo subway in 1995. 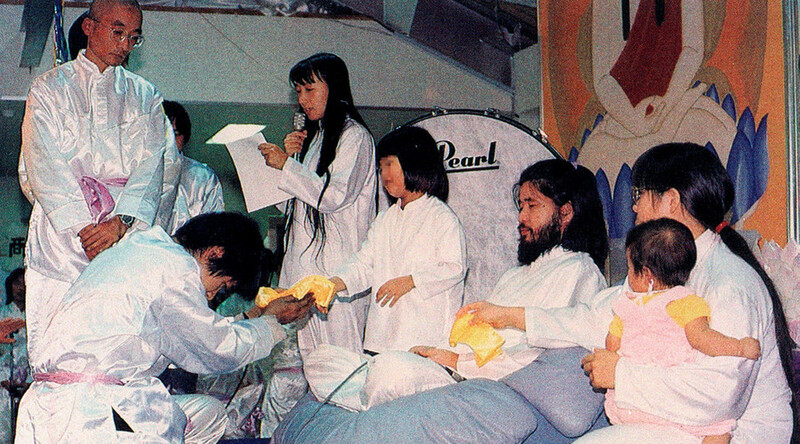 The Aum Shinrikyo sect is a doomsday cult loosely based on Buddhist teachings. It was founded by Japanese citizen Shoko Asahara in 1987 and gained relatively large popularity worldwide before 1995, when several of its members sprayed poisonous Sarin gas in the Tokyo subway, killing 13 people and injuring thousands. After the incident, Japanese law enforcement raided the Aum Shinrikyo sect and arrested many of its members. Asahara and several other top members of the organization were sentenced to death in 2004 and are currently awaiting execution (the sentence cannot come into force because several related cases are still being investigated). In April this year the Russian Interior Ministry said that it had raided dozens of premises allegedly linked to Aum Shinrikyo and detained several people over suspicion of ties with the group. The raids took place after a similar operation in Montenegro that resulted in the deportation of 44 suspected cult members to Russia. A criminal case was instigated but all of those detained were released after questioning. In 2012 President Vladimir Putin urged the Russian government to step up the effort to fight against the “mushrooming” totalitarian cults, which he described as a threat to Russian society. Government ministers replied with an initiative to create a database of such groups, which would be made available to regional education ministries and schools.